The NSNA is seeking funding from multiple sources to acquire an 84â€� Groomer and a special utility snowmobile to tow the groomer. Additionally we seek to acquire a trailer, operating insurance, fuel, signage, trail maps and signs. Please consider making a donation in any amount on our website www.nsnordic.org. All donations are tax deductible to the full extent allowed by law. WE need to raise a total of approximately $25,000 to get the operation up and running for the winter of 2015-2016. Subsequent years will only require funds to operate and maintain our equipment and pay for fuel and insurance. The NSNA will be an entirely volunteer run operation and we are seeking anyone interested in helping out in any way. 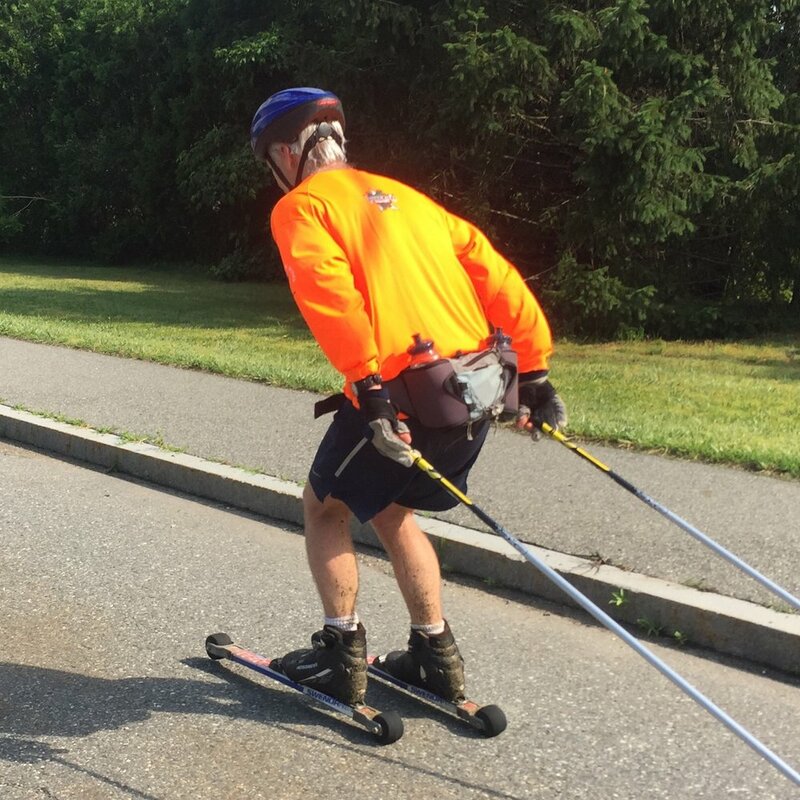 NSNA supporter Dag Holmboe of Hamilton (by way of Sweden ðŸ˜Ž) braving the summer sun roller skiing, to stay in shape for ski season.